These D-Rings are used with Quick Wrap Tape to create instant attachment points on tools. The D-Ring Attachment can be used to create an attachment point on virtually any tool under 2.3 kg. � 5 lb. 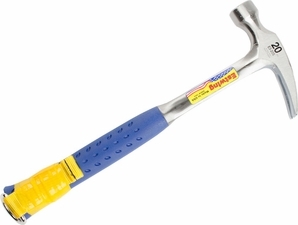 (2.3 kg) capacity: Suitable for many hand tools such as hammers, spud wrenches, and more. � Creates instant attachment points: Used with Quick Wrap Tape to create instant attachment points on virtually any tool under 5 lb. (2.3 kg).